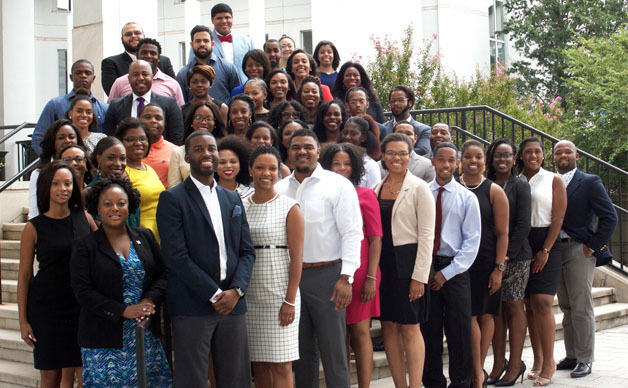 For the second consecutive year, Emory Black Law Students Association (BLSA) was awarded the Regional Chapter of the Year award at their recent regional convention in Atlanta. They will now advance to the national convention in Houston, TX, where they will defend their title of Chapter of the Year. The Emory BLSA chapter also placed first in the Frederick Douglass Moot Court competition, where they were given top honors as best oralists. The top teams in this competition will also advance to the national convention at Houston in March. Emory BLSA member and NBLSA director of community service, Marcus Sandifer, was awarded the BLSA Trailblazer Scholarship for Southern Region Member of Distinction.